‘The start of a ground offensive is a serious and worrying development. The lives lost in this conflict are individual human tragedies and the killing of innocent civilians, be they Palestinian or Israeli, is to be utterly condemned. The rocket attacks on Israel are unacceptable and should stop, as should the Israeli offensive in Gaza, which is heavily disproportionate, as demonstrated by the mounting civilian death toll. ‘As a Government we continue to call for a complete cessation to all violence and add our voice to those in the international community for an immediate, longer term ceasefire, and that both sides in this conflict put an end to the violence that is causing so many civilian deaths and injuries. ‘The worsening humanitarian situation in Gaza has been well documented and the UN now estimates that over 18,000 people have been internally displaced. I have today written to the Home Secretary and told her that Scotland would be willing to accept Palestinian refugees and urged the UK to also play a part in easing the refugee crisis in Gaza and the Occupied Palestinian Territories. Scottish media reported that until 2009, Humza Yousaf had been a director of the Scottish Islamic Foundation (SIF), headed by his cousin Osama Saeed, a former official with the Muslim Association of Britain, part of the UK Muslim Brotherhood. The SIF was officially launched in 2008 and a UK think-tank has reported on its ties to the Global Muslim Brotherhood. A UK media report observed that former SIF chief Executive Osama Saeed enjoyed close relations with Scottish First Minister Alex Salmond for whom he used to work as a researcher and documents Saeed’s controversial background including calls for an Islamic Caliphate and equivocal stands on terrorism. 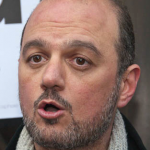 Saeed had been a candidate for the Scottish parliament on the ticket of the Scotttish Nationalist Party (SNP) and resigned his post as head of the SIF following an audit of the SIF accounts. SIF had been known to enjoy good relations with the Scottish government, receiving government funding on more than one occasion, although its links with the government were questioned by the Scottish Conservative party in 2010, noting the SIF ties to the Muslim Brotherhood. The SIF ceased to exist sometime probably in 2011. As for Humza Yousaf himself, his official biography notes that he had been a volunteer for Islamic Relief since the age of 10 and in the last two years has voluntarily worked as the media spokesman for Islamic Relief Scotland. Islamic Relief Worldwide is headquartered in the UK and has close ties to the Global Muslim Brotherhood. The GMBDW reported in June that Israel had banned Islamic Relief Worldwide from operating in Israel saying that it is involved in sending cash to Hamas. His biography also says that he “is an alumnus of the US State Department’s prestigious International Visitor Learning Programme”, known to have facilitated networking between US and Global Muslim Brotherhood groups and perhaps explaining the 2008 partnership between the SIF and the Council on American Islamic Relations (CAIR). The GMBDW reported in October 2008 on meetings between Humza Yousaf and Osama Saeed and the Turkish AKP as well as with Wadah Khanfar, at that the Director-General of Al Jazeera but also known to be close to Hamas and the Global Muslim Brotherhood. Mr Saeed is current employed as the Head of Media and Public Relations at the Al Jazeera Media Network. Although the Minister for External Affairs and International Development is a junior ministerial post in the Scottish Government and the minister does not attend the Scottish Cabinet, the GMBDW wonders about the role of Mr. Yousaf in an independent Scottish government should that come to pass and what the implications might be for an independent Scotland’s foreign policy.